I have been waiting for years for this day and it is finally here: The Hunger Games movie is out! We are going to see it tomorrow afternoon — tickets are already purchased and snacks are all set to be snuck in (popcorn, junior mints, and beer/wine, in case you were wondering). 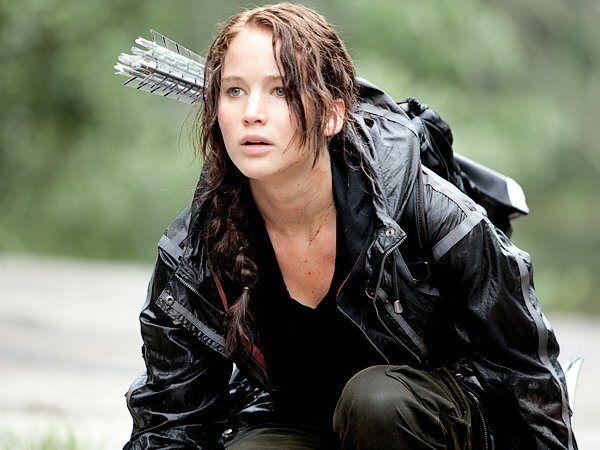 Are you planning on seeing The Hunger Games this weekend? If you haven’t read the book, I recommend you do so before seeing the movie. It is pure, young adult, dystopian perfection. As you may have guessed, this week’s Friday links are all HG related. If you don’t plan to read the book, here are 5 things you need to know before seeing the movie. The most disturbing Hunger Games merchandise. The Hunger Games characters in Beatles lyrics. Bring the food from the book to your table with these recipes. A Hunger Games-themed wedding inspiration shoot. Jennifer Lawrence at the LA premiere. I want to be her friend. And lastly, the trailer. Makes me tear up every time.